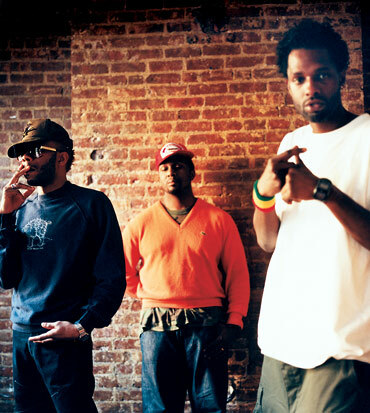 Conceived as a tape-trading indie label, New York hip-hop trio Antipop Consortium ended up with the résumé of an indie-rock band: a 2001 gig opening for Radiohead, collaborations with avant-garde musicians Arto Lindsay and Matthew Shipp and a pair of albums marketed to the college-radio crowd. But Antipop never catered to any demographic or province but its own, relying on personal taste and the chemistry of its three MCs: Beans (staccato delivery), M Sayyid (quick wordplay) and High Priest (brutish low-end). Second and final album Arrhythmia showcased the group’s often-skeletal musical design—beats made of ping-pong-ball samples, one-note keyboard lines, repetitive musical themes that echoed Sparks and Kraftwerk—and concluded a brilliant career with “Human Shield,” an album-closing statement of unity and the group’s finest moment. Catching Up: Beans and High Priest have issued solo albums, and the latter teamed with Sayyid for a 2005 LP as Airborn Audio. But, as De La Soul pointed out, three is the magic number; Antipop reunited for live performances in 2008 and has a new album, Fluorescent Black, ready for release sometime this year.